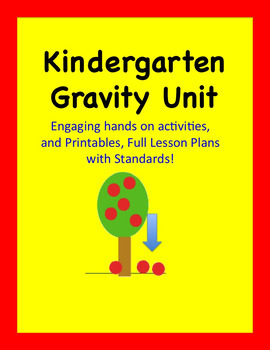 This package unit includes lesson plans, activities, and printables to successfully allow kindergarten-3rd grade students to explore the concepts of gravity. The activities are hands on and engaging. Included in plans are mini lessons, and hooks for teacher directed introductions. Plans are outlined to follow details for each lesson and day. They are written for a 5 day week long unit, but could easily stretched into two weeks. Package includes: lesson plans with mini lessons and hooks for teachers to follow, printables for a Drop Race activity with 2 data sheets that are age appropriate, a Leaf Drop activity, What Stays Up and What Stays Down activity, discussion cards with pictures,and My Gravity Picture activity which can be used for assessment, Orbit and Sun printable with planets. 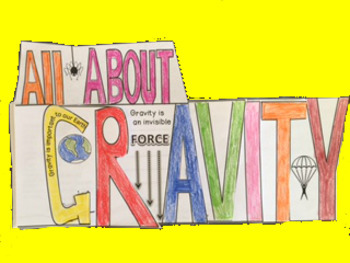 Gravity flip books of letter-word format - this book has 3 levels (K and below, K-1 and 2-3) see preview picture. Also included are instructions for all activities including how to fold a paper airplane and to make a parachute.